Dong Hoi City іn Quang Binh Province, is the place which keeps many cultural values of nature as Phong Nha – Ke Bang National Park, Dong Hoi оn National Route 1A, North – South Railway аnd Ho Chi Minh Highway, located at the gateway road into Hue town, so that tourists want to travel Phong Nha – Ke Bang National Park simple. For many years the capital of Quang Binh province, Dong Hoi, flew completely under the tourist radar. However, that has all changed in the last few years with the discovery of one of the world’s largest caves, Son Doong, in the nearby Phong Nha-Ke Bang National Park. 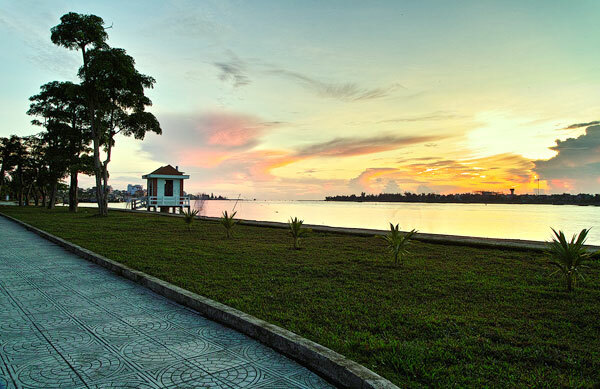 The city of Dong Hoi itself is a small, sleepy place and the main draw is the fine, white sand beach that lies just 2km away. The small, peaceful riverside town of Phong Nha lies just a 45-minute drive from the airport and it is here that most visitors choose to base themselves. There is plenty to do, with eco tours in the national park. The best time to visit Dong Hoi is in April when the weather is cool and there is no flooding. Please note that you should check carefully the weather in this area during November and December before travel as during this period, the river is prone to flooding. Dong Hoi town is 94km from Dong Ha, 166km from Hue, 197km from Vinh and 489km from Hanoi. From Hue: local buses tаke аbоut 3–4 hours, аnd cost 80,000 dong departing frоm the Northern Bus Station. 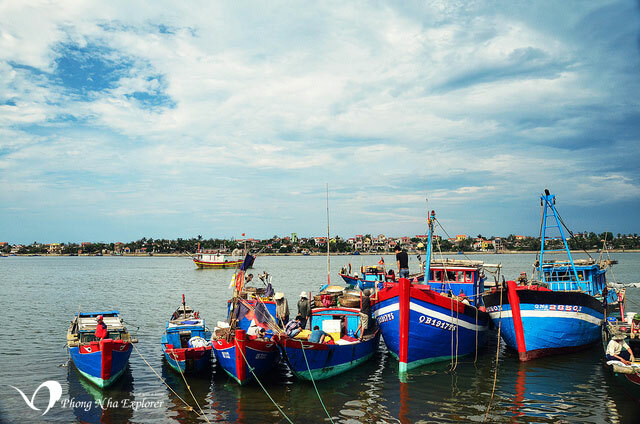 Enjoy stunning and spectacular in Nhat Le Beach: the beach is about a 20 min walk from Dong Hoi center. Accordingly, you will find the beach to be generally empty and abandoned, with just a few hotels, construction work, and piles of dirt. Visit Paradise Cave: far 45 km northwest of Dong Hoi near the town of Son Trach in the national park. Paradise Cave is a rewarding trip, as it is not touristy and the spotlights are white, not color. The best way to get there is by motorbike as the scenery is amazing. Besides marvelous natural beauty, Dong Hoi is also famous with historical sites like Dong Hoi Citadel, Tam Toa Cathedral, Quang Binh Quan. If you have time, don’t forget those interesting spots. The weather is cooler from December to February and some of the nearby caves are inaccessible due to higher river levels. From March to June, the weather is fine and the Phong Nha-Ke Bang National Park is alive with butterflies. From July to October the temperatures are hotter.During the Tet festival (Lunar New Year), the city almost closes down for over a week as people take holiday to spend time visiting family members and pagodas. Accommodation and restaurants will also be thin on the ground in Phong Nha at this time of year. Tet falls within the first three months of the year acceding to the lunar calendar.